Kirby started out as a REALTOR® in 1985 and built his business into one of the Top Producing Real Estate Teams in the country. With over 18,000 agents, our boutique firm consistently outperforms, selling more homes per agent than any other Royal LePage team in Canada. 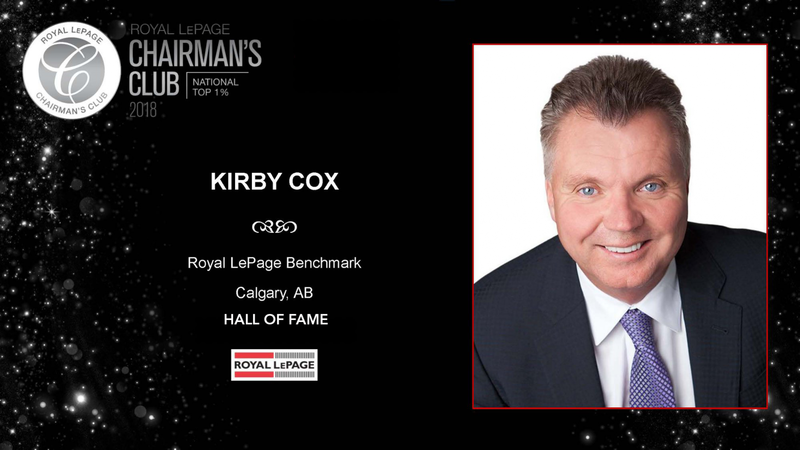 Kirby was most recently selected as one of the inaugural inductees into the Royal LePage Hall of Fame. This prestigious award is given to select Royal LePage Realtors® who have maintained continuous, unquestionable excellence at the highest level in the industry. The inductees are individuals who have made a significant, positive impact within the profession and Royal LePage, people who are well regarded by their peers, and those who are recognized as significant contributors to the communities in which they work and live. Our mission is to represent our clients with the highest degree of integrity in buying and selling Calgary Real Estate. Contact us today for professional, personalized service that sets us apart from the status quo.